The best free Samsung slots apps are the choice of US punters. Each year there are so many slots apps released at Google Play for Android phones and it becomes a bit difficult to choose the best ones. 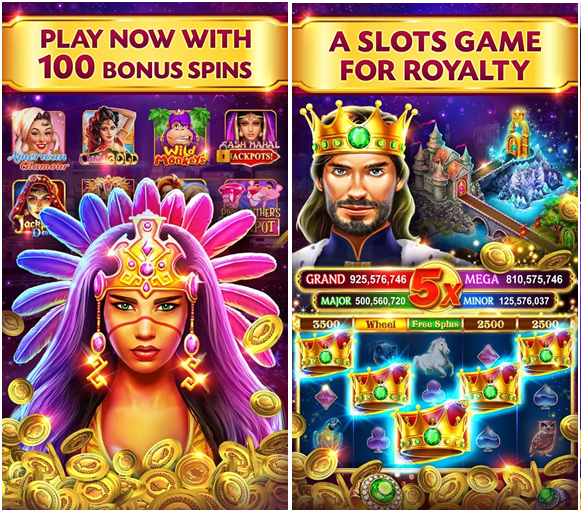 But the easiest way to choose the best slots apps is to read their reviews, know the ratings, and go by the best possible gaming developer. 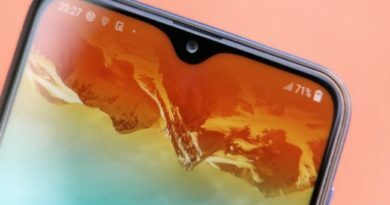 This means that at Google Play you can find ratings of the app and the best app comes with the rating of 4.0 and above, reading the reviews makes you understand about how the game app is viewed by players who already are into it, and finding the slots app from the best possible gaming developer shows the credibility and reputation of the app developer. So are you now ready to go and look out for the best ones. Here we have picked for you the best free Samsung slots apps in 2019 which you can enjoy on your Samsung cell phones. Remember these are free apps to download but have in app purchases if you wish to have more free credits or coins to play slots. Players Paradise is the best app which is free and compatible with Samsung. Developed by 616 Digital this app offers a social gaming platform where to you can connect with your Facebook friends and play slots. You are offered free coins as welcome bonus to play slots. You can enjoy latest and new slots like Rampaging Bull, Pearl River, Roaring riches, Mustang Money2, Barn Yard Bonanza, Thunder cash and many more. Climb the leaderboard in slots games as you unlock bigger wins as you get free coins each day to play slots. You win virtual money in the form of free coins to play more as no real money is involved in this app. 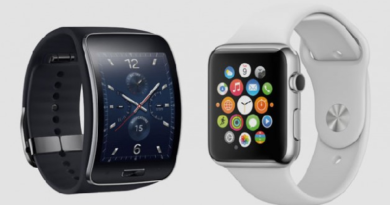 With 4.4 rating at the app store you need Android 4.4 and up Samsung device to play this app. 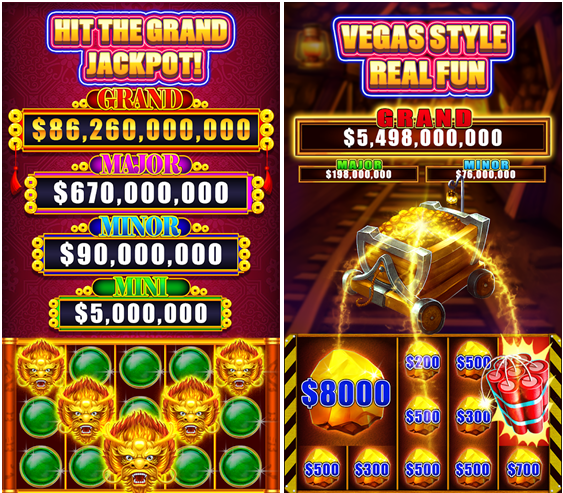 777 slots is the lucky app developed by Scientific games which offers Las Vegas style fruit machines as well. Besides slots you can enjoy video poker games, various mini games and get best of casino bonuses to feel lucky. As a new player you are offered free 250,000 free coins as welcome bonus, If you spin the wheel every four hours you get another lot of free coins. The daily bonus can fetch you above 35000 free coins as well as playing mini games and inviting your friends to play offer more free coins. It’s your choice to play solo slot games be it 5 reel slots with various features multipay lines, progressive slots or take part in multiplayer free slot tournaments. With the rating of 4.4 at Google play the app is compatible with various Samsung phones. Caesars Slots is the official slots game of Caesars Casino developed by Playtika where you can win big jackpots. The slots here are of Las Vegas style that are loaded with all the fun, free spins and other bonuses. To get the Vegas VIP experience there are over 100 casino slot machines brought to you and inspired by Vegas casino floors. Some of the well known slots to play are Aztec Jungle, Wild Howl, Cleopatra, new King’s Throne, Panther, Foxtrot, Cleopatra, Chili Caliente, ZEUS, Cash Mahal, Zeus Jackpot, Dreaming of Oz, Buffalo slots, Tropicana fantasy, Xmas Wonderland, Leprechaun Riches, Rainbow Riches and the new Pachinko Machine – Ultra Zone with more of slots. If you want you can join fast-paced video slots tournaments. As a new player you are offered 100 free spins as well as free casino coins. 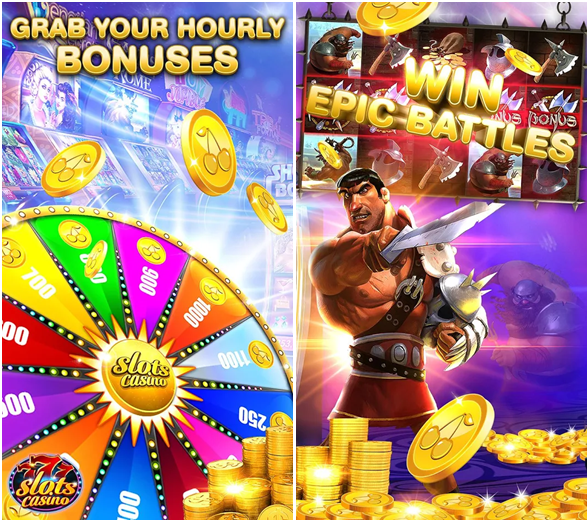 You can get hourly bonus as well as more coins to play when you spin the luck wheel daily. Play with friends on Facebook and get more surprising offers. This app also has the app rating of 4.4 at Google Play and needs 4.0.3 and up Android Samsung. Deluxe slots app is best app from Luckios gaming where you can enjoy Vegas style free slots. As a new player you are offered 20,000,000 free coins as well as get amazing bonus offer each hour. When you play mini games your wins are multiplies and spinning the wheel rewards you to get more free coins and gems. As no real money play is involved you get free coins to play more as wins. With the high score rating of 4.7 at Google play this app requires 4.0.3 and up Samsung Android phone. 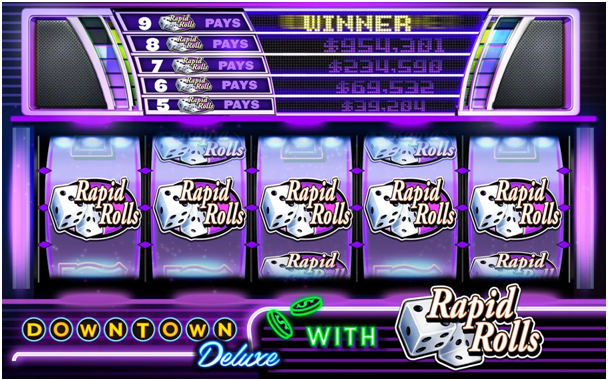 Downtown Deluxe Slots is another super hot slot app right now that brings you the best slots experience on Samsung. Enjoy Vegas style slots brought to you by Rocket games that has great bonuses. Besides slots you can play Roulette, Blackjack, Poker, Craps, and Bingo which are all fun. You can get to reach the new levels by winning the games in hand and some of the popular ones you will like are Mega Multipliers, Cashing Fish, Cash Swirl, Mega 15x, and Rapid Rolls. 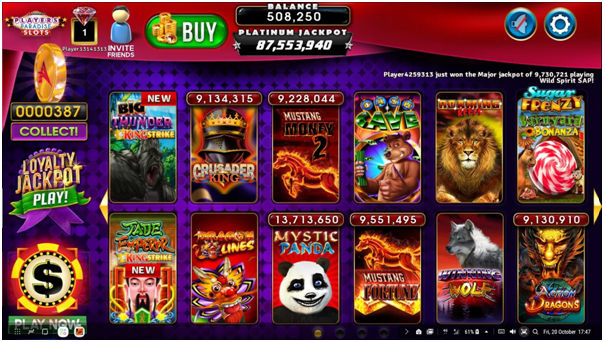 All the free slots have features of Scatter Wilds, Jackpot Wins, free bonus games and other thrills. Now enjoy these best Samsung slots app and feel the thrill of Vegas style gaming.